I really like yogurt. I can understand why it is the official food of Burn Notice. 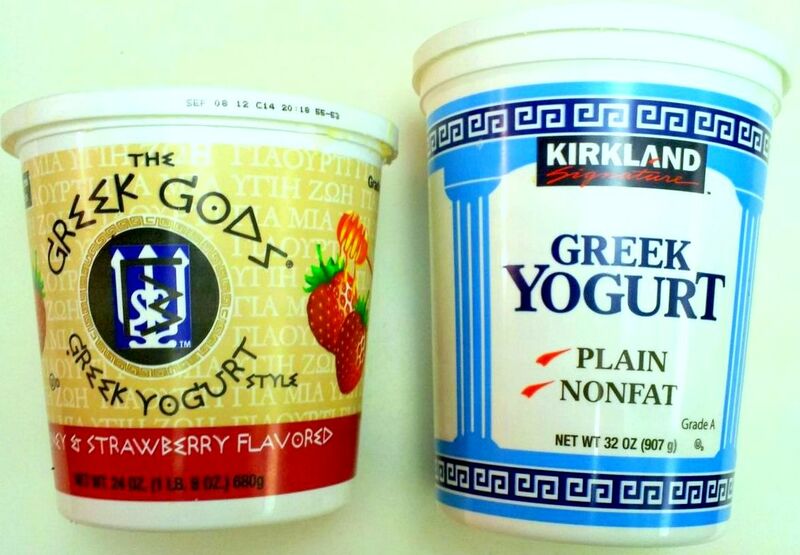 Greek yogurt has been a popular food choice for people who are trying to eat healthy. My wife usually has me pick up a couple packs of plain Greek yogurt at Costco whenever I go shopping. I recently bought a flavored Greek yogurt for her at a different store. I expected it to have more sugar and calories, but I was shocked when I got home and compared it to our usual brand. Check out the comparisons below for a 1 cup serving. Most people would think that yogurt is a healthy food, but the first brand has twice as many calories as vanilla ice cream. I'm not trying to bash The Greek Gods yogurt. It actually tastes much better than the plain Kirkland brand, which shouldn't be a surprise after seeing the ingredients. I just want to point out the importance of comparing labels and not making assumptions when you are shopping. Many people only focus on price when they buy their food. Deceptive food labels and consumer apathy can make selecting the healthiest foods a challenge. Learning to read food labels can be a very informative process and is the only way to really know what you are getting. I would just like to point out that when you are comparing the taste of the two brands of yogurt, obviously there will be a difference. The difference is what you do to make them similar. The Kirkland brand I sweeten with Stevia, a much healthier, natural alternerative to processed sugars. I also add my own fresh or frozen fruit instead of the fruity syrup that is included in the "yummy" variety. In the end, it is about the same as flavored vanilla icecream but without all the stuff you really don't need or want, including calories.